Today, the ReefLED lights by the Red Sea have gone live on Red Sea's website. 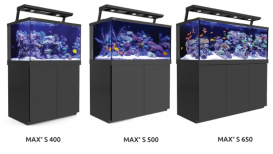 They announced the ReefLED's at InterZoo in May 2018. These LED lights come at no surprise due to Red Sea offering an all-inclusive reef aquarium. 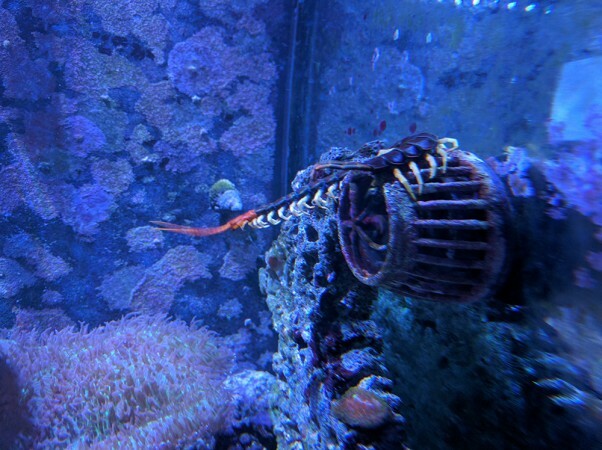 Red Sea has come out with a series of products that are making it so that the all-inclusive aquarium that they provide can only come with Red Sea equipment. The ReefLED came after years of development, and they focus on coral growth and are being promoted as guaranteed to be reef safe. 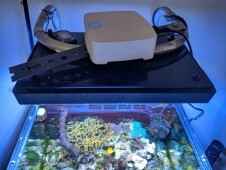 Another focus on the LED lights was to make them simple to set up using the Red Sea's smart aquarium app ReefBeat which will walk you through connecting to the WiFi-enabled lights. 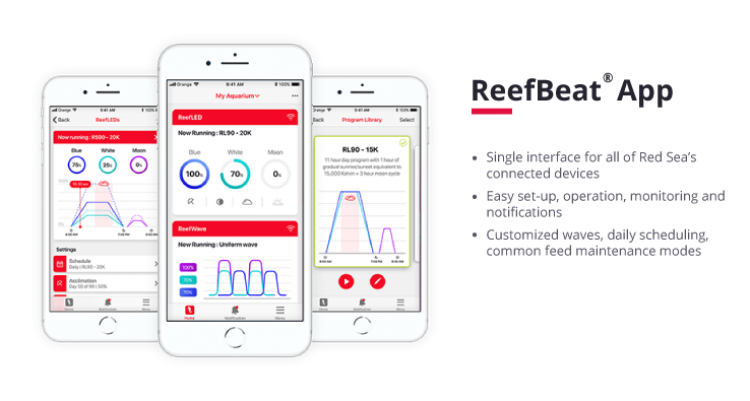 The ReefBeats app allows you to quickly and easily configure the lights with popular configurations like sunrise and sunset and other configurations optimized for coral growth. The app also provides alerts to keep you in tune with your aquarium and alert you of power outages. 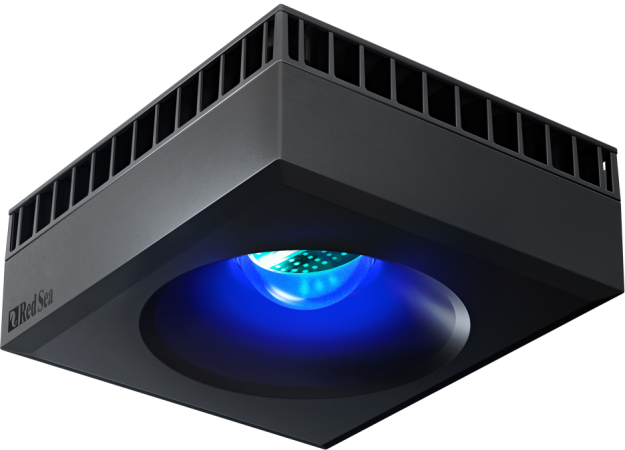 Gain Full Access to your lights, groupings and advanced configurations. With the internet, you can take advantage of all of the ReefBeat app abilities. No Internet and No WiFi. Red Sea still has you covered, connect to your lights manually to see the current settings. You will not have access to groupings and some advanced programs. The direct mode also does not support the firmware updates and alerts. It does require you to manually connect each time you want to access the lights. ReefLED uses a multivalent spectrum ranging from 23,000 kelvin called Reef Spec Blue, it is a blend of blues, violet and ultraviolet LED blend with 8,000 white channels providing a beautiful look that lets corals flourish. The ReefLED's also have a dedicated moonlight channel that provides low-level lighting so that you can view your aquarium at night. Designed with a hollow lens to provide even PAR and prevents hot spots. You can learn more about the Red Sea ReefLED lights on their website. 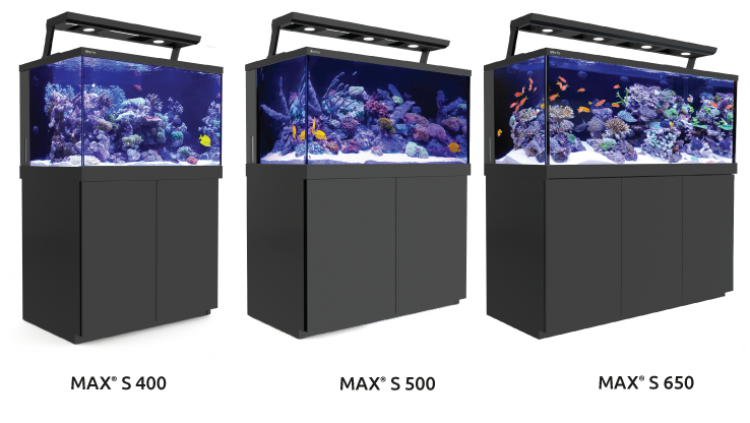 With the release of the ReefLED also comes changes to the Red Sea aquarium MAX S & E Systems as well as the Red Sea REEFER systems lineup. The Hydra LED lights that normally went with the Max series aquariums, and the Reefer series are now being replaced with the New ReefLED lights. Between ReefBeats and the Reef LED lighting Red Sea's I imagine we will see a huge swing in the way of aquarium automation and all in one systems. Having a controller and providing an all-inclusive system with proprietary hardware will make it very simple for Red Sea to roll out advanced controller features with little to no programming for the user. The ReefLED 90 will be launched at the beginning of May and the ReefLED 50 will follow soon after.